It's safe to say that it's been an interesting week for Sony. At the start of the week the company released a rather ridiculous unboxing trailer, which has now been followed by numerous reports of unhappy console owners who've expressed their disappointment with what appears to be a 'broken' console. On November 15th the PlayStation 4 was released in North America, and was immediately met with a wall of console-related problems. These ranged from broken HDMI cables, error messages upon attempting to download games, problems with ejecting discs and consoles refusing to turn on. The most infamous though has to be the 'Pulsing Blue Light’ that simply leaves the console lifeless, apart from the small pulsating light located on top of the console. One frustrated gamer referred to the console as a "$400 paperweight". It was known by Sony that there would be immense strain on the servers on launch day. So, in an attempt to subdue this pressure, the company decided to allow users to download the day one update from its website, so that gamers could transfer over the files via USB. However, this was to little avail as some users reported problems with the PlayStation Network. Sony had this to say: "A handful of people have reported issues with their PlayStation 4 systems. This is within our expectations for a new product introduction, and the vast majority of PS4 feedback has been overwhelmingly positive. We are closely monitoring for additional reports, but we think these are isolated incidents and are on track for a great launch." Sony claims that the faulty consoles are just limited to 0.4% of the shipped PlayStation 4 consoles, and that the use of social media (Facebook and Twitter) has likely exaggerated the extent of the problems. This is the first major console release since the Wii U so it was expected that there would be initial problems. However, defective consoles seems a little extreme don't you think? "I also got a defective console right out of the box. I just get the blue flashing/pulsing light on the PS4 and never turns white; no display or sound. Very disappointing in this whole mess. I don't think I've ever had a piece of electronics fail right out of the box. I tried the different methods that I found online to get it to work, but they didn't do anything. I can't even get it to boot into the safe mode. Getting my refund and going to try to get one at a local store, if any are in stock," read a review on Amazon. 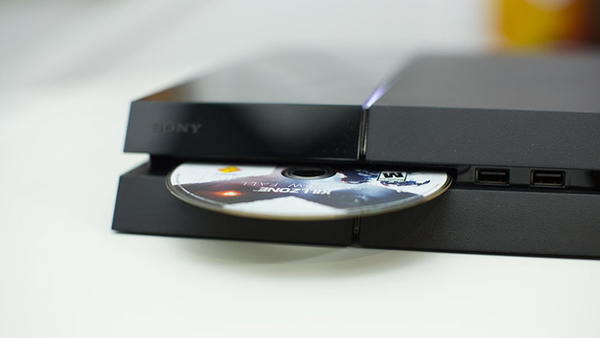 What are your initial experiences with the PlayStation 4? Have you experienced any of the issues that other gamers have been faced with? Let us know in the comments below.